Online ordering menu for BEN HILL GRILL. 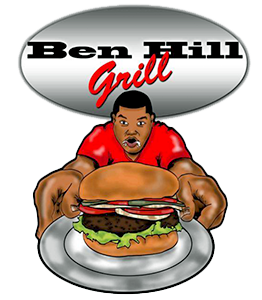 Visit Ben Hill Grill, Atlanta's hot spot for Burgers, Wings, Fish, and Philly's! Grab a bite of our tasty Beef Burger or savor our delicious Chicken Fingers. Order online for carryout today! We are located on the corner of Campbellton Rd and Barge Rd next to Kids in Action Learning Academy and St Mark AME Church.